Dr. Abbey J. Lee provides patients with the opportunity to achieve a flawless smile with customized Invisalign® aligner trays. This virtually invisible orthodontic treatment eliminates uncomfortable and unappealing metal brackets and wires often associated with traditional braces. Our adult patients who are looking for an inconspicuous solution to effectively straightening their teeth find this cosmetic dentistry treatment extremely beneficial at our Atlanta, GA dental practice. The Invisalign® system uses a series of clear aligner trays custom-made of smooth, BPA-free plastic to gradually shift teeth into proper alignment. The Invisalign® trays are fashioned at a state-of-the-art lab using digital impressions of the patient's mouth. Using computer technology, the lab will create a three-dimensional model of your mouth to fashion each tray, designed to slowly shift teeth into proper alignment. The amount of trays required will depend on the patient’s level of dental misalignment. Each tray should be worn up to 22 hours a day for two weeks before upgrading to the next tray in the series. This eliminates the uncomfortable and time-consuming process of tightening wires and changing ligature elastics, thus cutting back on the amount of follow-up appointments required. Patients can remove trays when brushing or flossing their teeth and during meals, making it a popular choice among both teenage and adult patients. Because trays are easily removed, patients who have an important speaking engagement can remove trays for optimal speech. If you have more severe dental misalignment, Dr. Lee may recommend traditional metal braces as a more effective treatment. Since Invisalign® requires patients to keep track of their tray timeline before progressing to the next tray in the series, this orthodontic treatment requires a strong sense of self-discipline. In order to prevent slowing down your results, each tray should be worn as directed. 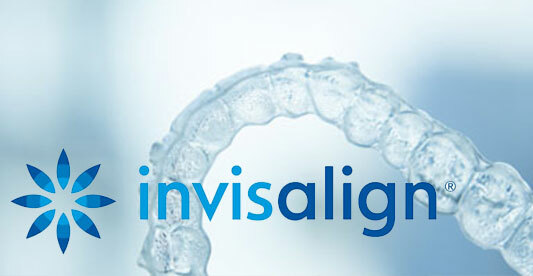 When trays are consistently worn, Invisalign® can generally deliver results in about 12 to 18 months. If you are seriously considering orthodontic treatment, we recommend meeting with with a trusted and qualified dentist, such as Dr. Lee to discuss all the available options. At Smiles 4 Grant Park, in addition to Invisalign®, we provide a variety of other orthodontic treatments, including Six Month Smiles® and traditional braces to meet our patients’ needs. Contact our dental practice today online or by calling 404.328.7177 to schedule your consultation.